Well well, what do we have here? A blog no less! Thought it’s been a while, so thought I’d better get my finger out! I’ve been working, working, working, pretty much all the time since the last post in September (Last year)…. 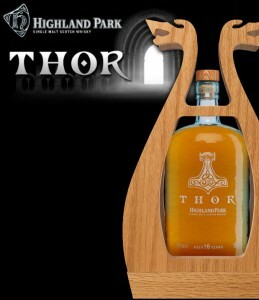 We (I say we – I mean The Green Welly Stop), have some interesting bottles of whisky added to the site – the most recent one is the new Highland Park – THOR. Just stunning. For £120 though – it does cost a wee bitty much (for my budget anyhow)! We’ve also got a nice Bowmore Horse Trials – the 2002 bottling, available at a penny short of £1000….! What else have I been doing I hear you ask? Well – we’ve (Cheryl and I) been bringing up our Daughter… Carmen (as I’m sure you all know).. she’s actually just been given a certificate for a Poem recital – considering she’s only 5, and she’s learned (on her own I may add) a Scottish Poem – The Snawman by JK Annand. The first time we heard it was in a telephone call to her Granny, and we were kinda amazed to say the least. We’ve managed to upload a version of it to Youtube – so have a look for yourself! What else… well – I’ve completed a couple of websites in the meantime. Diverse Undertakings Ltd is a business advisory service – we not only investigate and analyse human factors in business, we also offer an implementation service so that what is recommended is also applied. Our fees are sensible and most often represent a small percentage of the business improvement that is possible through our reviews. I’ve also been working on Glengarry House’s website – Tyndrum Accommodation on the West Highland Way, and I’m currently working on their self catering lodge website too. Other than that, Christmas, New Year, and loads more…! Have a great 2012 peeps!